Home » T-Ara » T-ara will be in China for M COUNTDOWN's Special! 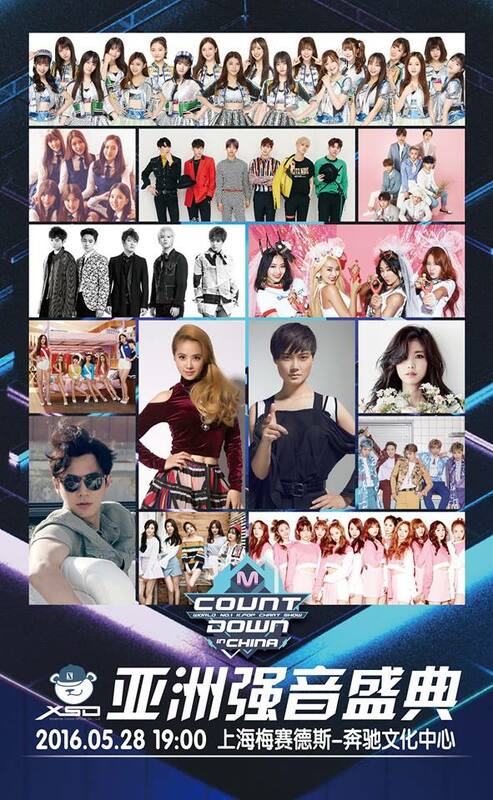 T-ara will be in China for M COUNTDOWN's Special! Another chance for Chinese Queen's to meet T-ara has arrived! The girls are coming for M Countdown's Special which will be held on the 28th of May, and along with T-ARA, other groups/artists who will be there are BTOB, FIESTAR, FTISLAND, GFRIEND, Jun Hyo Seong, JUN JIN, SISTAR, The Legend, VIXX, and WJSN. For those who can't be there, stay tuned as the show will be aired on June 2.